Why is this guy grinning? 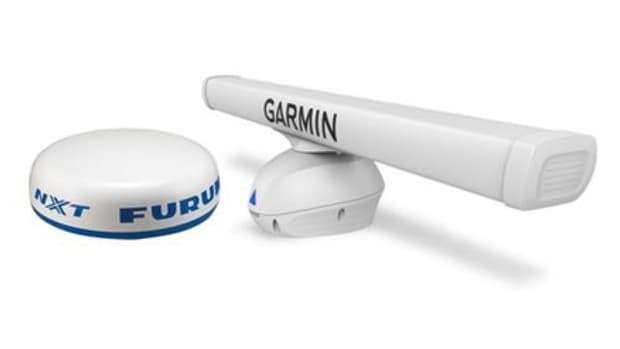 At the end of the solid state radar #1 entry, I suggested that the Doppler target speed discrimination feature just introduced by Furuno and Garmin is truly game changing. Now I&apos;ll try to break that down. 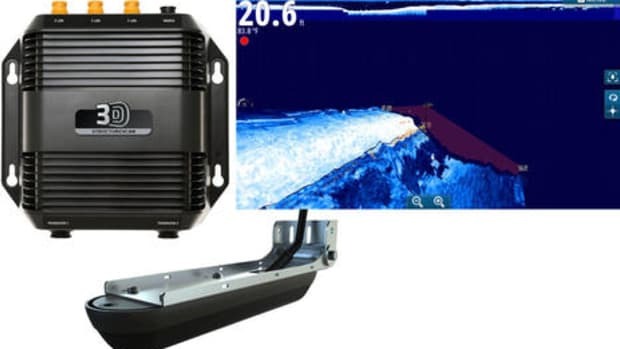 While Doppler effect is a seasoned and fairly well known concept, I suspect that its sudden and intriguing arrival to marine electronics is going to effect change. If you&apos;re not a pilot or meteorologist or similar, you too may appreciate the Doppler radar pages in Wikipedia. That 1950&apos;s GPI AN/APN 81 airforce navigation system above may weigh 380 pounds and seem complex -- imagine the cables! -- but I also enjoyed learning that the first Doppler radar speed gunstarted with coffee cans soldered together to solve a PBY landing problem during World War II. Incidentally, one way that Furuno product manager Eric Kunz (the grinning guy) explained the NXT radome&apos;s Target Analyzer function was to picture 50 cops with radar guns arrayed around the deck. Going further back, the classic explanation of Doppler effect is the way a train whistle appears to sound higher pitched when the train is coming toward you than it does when going away, even though it always sounds the same if the train is stopped or you&apos;re aboard (hear it here). The train&apos;s motion changes the frequency of the sound waves unless you&apos;re also moving in the same direction and speed. The same is true of radar microwaves bounced back from a moving target. Measure the frequency difference between the pulses sent out and the pulses returned and you get an instant indication of the target&apos;s speed. Of course, if it were really that easy, we would have had Doppler marine radar a long time ago. 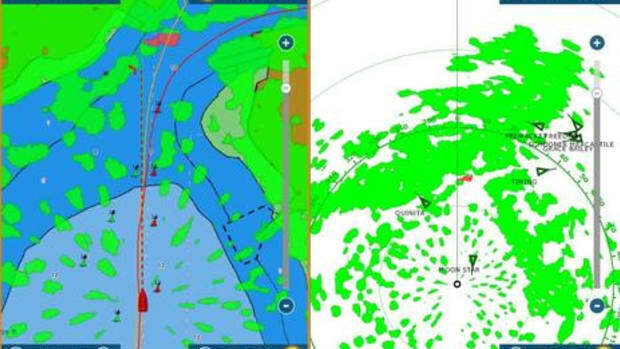 It&apos;s telling that Doppler effect was already developed into Furuno&apos;s meteorological radar and Garmin&apos;s avionics version, and if it took those companies this long to get marine Doppler as right as what I saw in Miami, so be it. Now let&apos;s think about how the radar game is currently played. In our recent era of HD, UHD, xHD, SHD, etc., even small radomes are able to paint nuanced target screens so that we might better understand what&apos;s what. 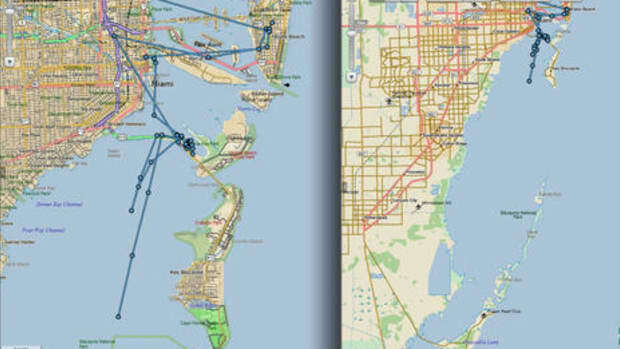 True color target returns is one example, as shown above from the modestly priced Raymarine Quantum radome, first imaging the bridge and marina just outside the Miami Boat Show at 3/8 nm range and then zoomed tighter on the demo and water taxi traffic. Note how many of the individual supports for the high bridge are shown, and even some of the long fishing pier on the other side. 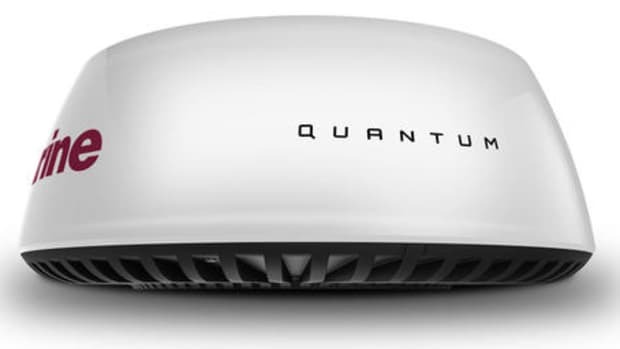 It&apos;s probably Quantum&apos;s "ATX advanced target separation" at work and, like Simrad 4G and Halo beam sharpening, an example of how solid state radar can improve on the conventional magnetron-based systems. 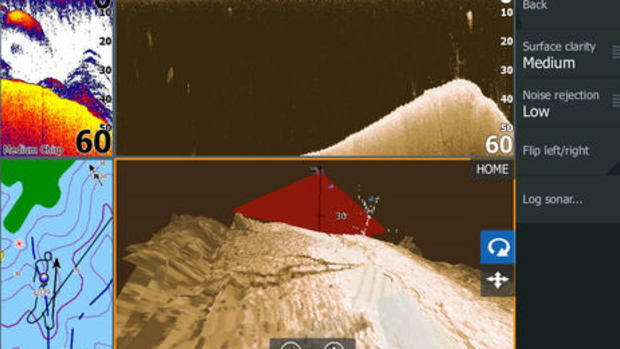 And here&apos;s the Simrad Halo-3 at dual range in nearly the same location. That&apos;s clean, detailed target imagery in the conventional sense, and the true color would show better if we&apos;d set the background to black. As discussed in part #1, both these radars were locking onto and holding MARPA targets quite well during my demos, and of course they offer several other tools for dealing with moving targets like echo trails and easy EBL/VRM marking. Then there&apos;s Doppler. The Furuno DRS4D-NXT can do true color, but in Target Analyzer mode most of the imagery is quite the opposite. And why not, if all that&apos;s green and blobby is either stationary or moving away from you, while anything heading toward you at over 3 knots is highlighted in red? In this shot the demo boat had just left Sea Isle Marina and was about to go under the Venetian Causeway bridge when another boat apparently cleared the marina entrance and picked up speed in our direction, which caused it to go red on our screen. Right after that bridge another boat came zipping in from the same abaft-the-beam sector -- an area which many of us tend to ignore -- and was also quickly highlighted. In fact (wish I had the screenshot), when this vessel popped red, its slower wake stayed green on the Furuno TZT2 display! 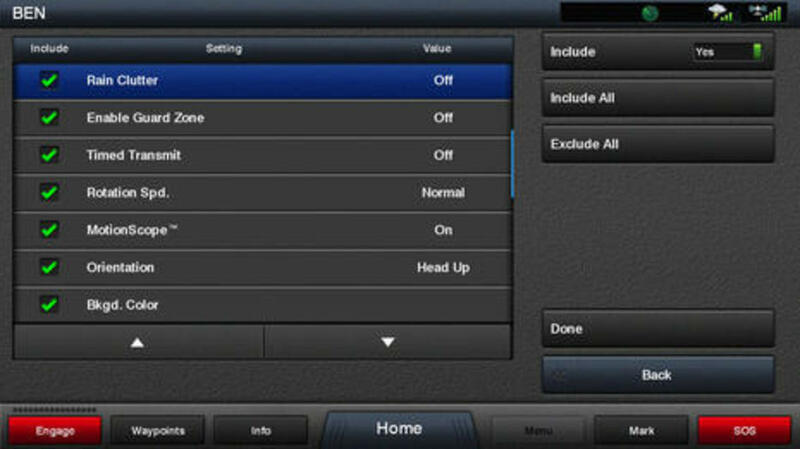 This screen also illustrates the NXT&apos;s RezBoost beam sharpening capability. Before we turned it up, the pair of boats headed toward us almost looked like a single target. 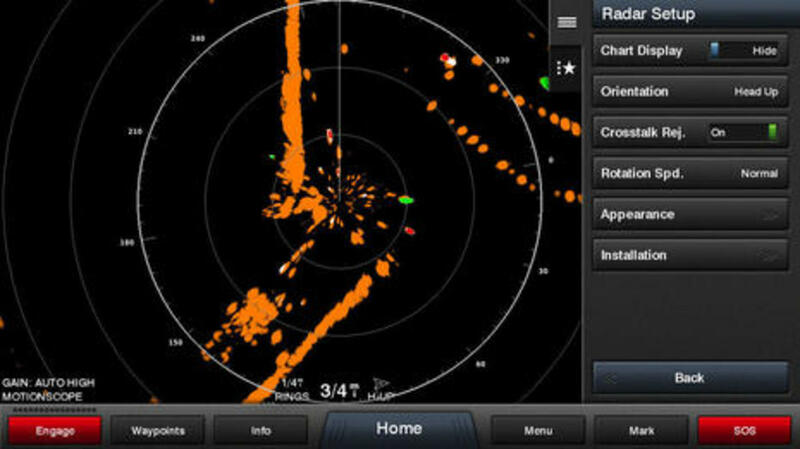 When I wrote about the February 11th introduction of NXT and Fantom, at least one reader wondered if there might be problems with Doppler speed discrimination when your boat is bouncing around in a seaway, and that may be a valid concern. 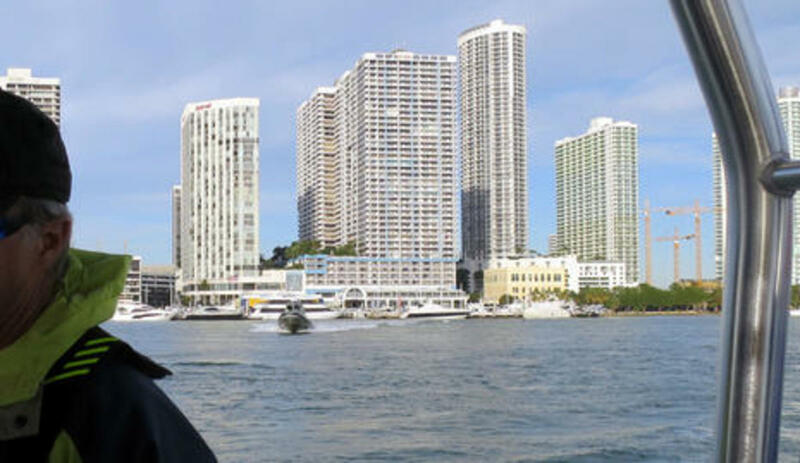 A few times in Miami a wake jerked the demo boat enough that a couple of nearby targets lit up briefly. Eric Kunz said they&apos;re looking at integrating motion sensor info to help with that, but note how NXT can automatically and quickly acquire up to 40 ARPA-style targets around you (plus 60 more MARPA-style), and I believe that those vectors are more dampened than the Target Analyzer coloring. We didn&apos;t get to see it, but Kunz said that NXT can both image or filter rain cells well and can even highlight hard targets within precipitation. 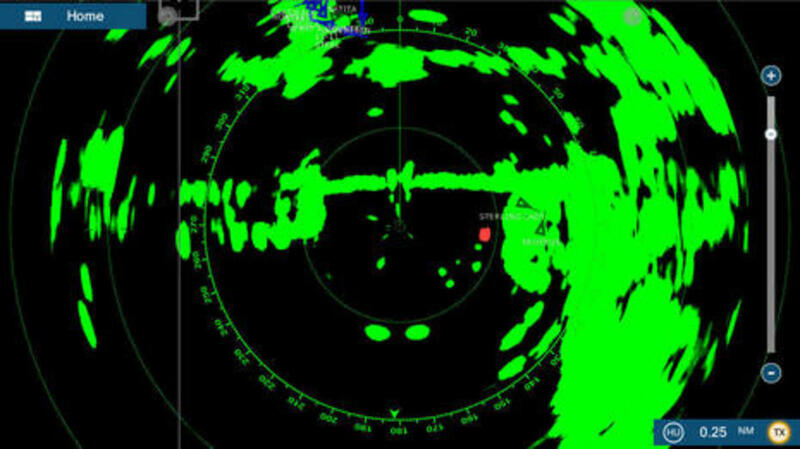 When I asked if the Doppler was or could be used in other ways like improving sea clutter filtering, it took a little translation, but then one of the engineers smiled and got out this intriguing answer: "Potential!" 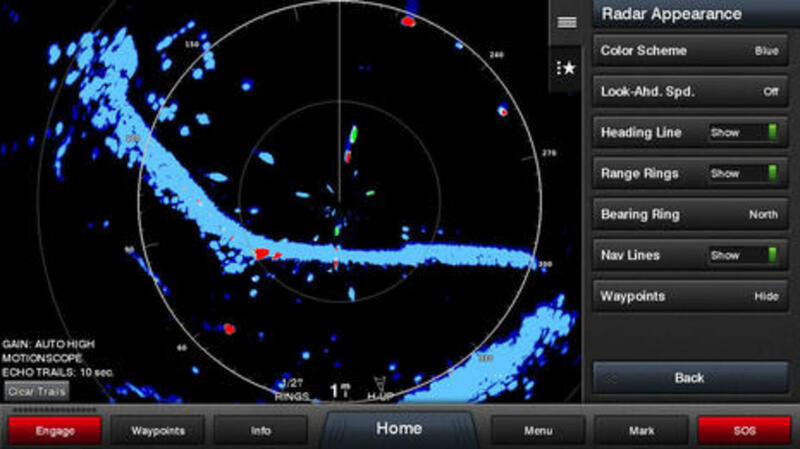 Garmin product manager Ryan Schmitz had a similar answer, but he also pointed out how sea clutter isn&apos;t as important once you&apos;re confident that actual moving targets amongst the clutter will be highlighted. This screen illustrates his point fairly well as the gain on the GMR Fantom 4 is in Auto High mode, but I&apos;m pretty sure that it wasn&apos;t missing any of the traffic around the show. 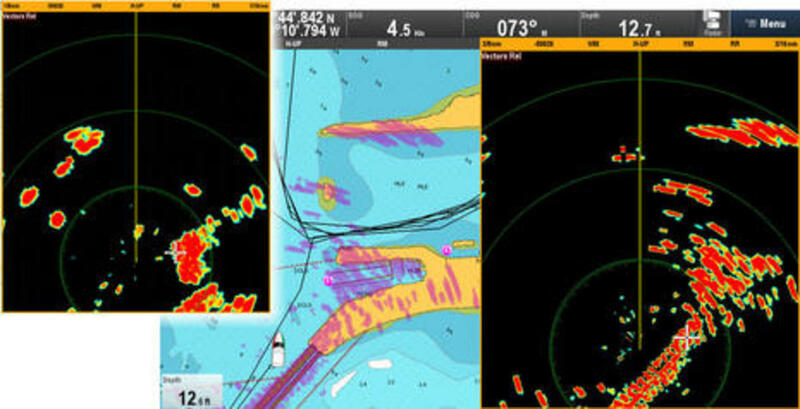 Garmin hasn&apos;t settled on a final Motionscope (Doppler) speed filter yet, but red targets on this screen are coming in our boat&apos;s general direction at over 5 knots, and green targets are moving away from us at over 5. Do you like getting both coming and going info (as I do)? Notice the lines of fixed targets seen on this screen and others in the series. I&apos;m told that they are poles marking some sort of protected area, but I can&apos;t find them on any chart. At any rate, they showed up quite well on all four of the solid state radars I experienced in Miami, and that&apos;s great. 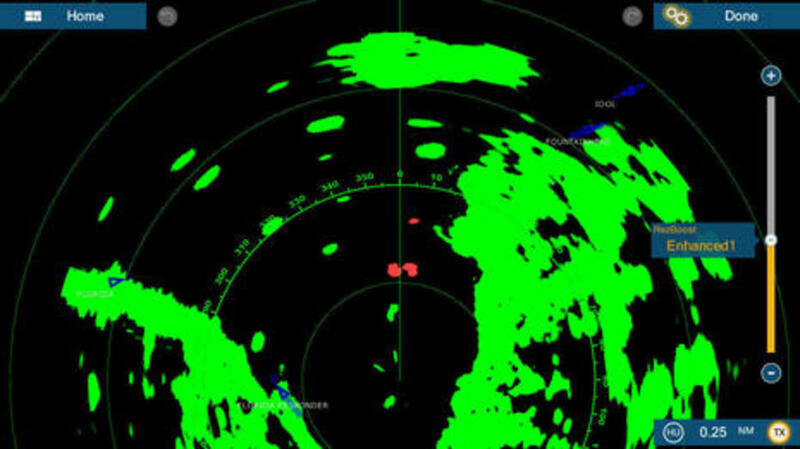 But only the Doppler-using radars offered some assurance that they were fixed, and when a boat occasionally moved through that area (as seen above), Doppler spotted it faster than any crack radar operator I recall sailing with. And those of us operating the NXT or Fantom involved didn&apos;t have to do a darn thing except to mentally integrate the clear and valuable target motion info into the bigger scene unfolding around us. Game changing? This screenshot was taken just two minutes before the Fantom had locked in on all the MARPA targets seen on this part #1 screen, which speaks to fast MARPA, but isn&apos;t this screen (which took no effort) equally useful? 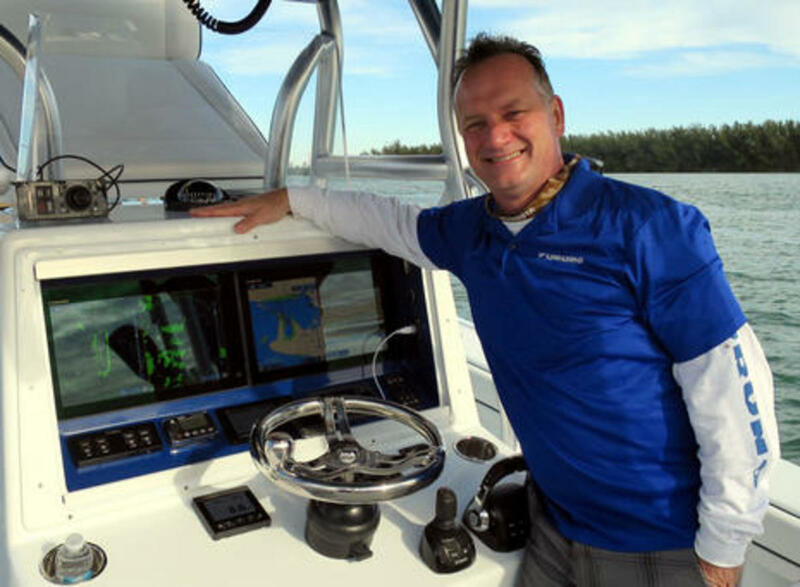 It seemed like Peter Truslow, a sometimes fellow Mainer who was driving the Edgewater demo boat (and also built it), was thinking along those lines; his exclamations of delight about Motionscope (Doppler) didn&apos;t stop. 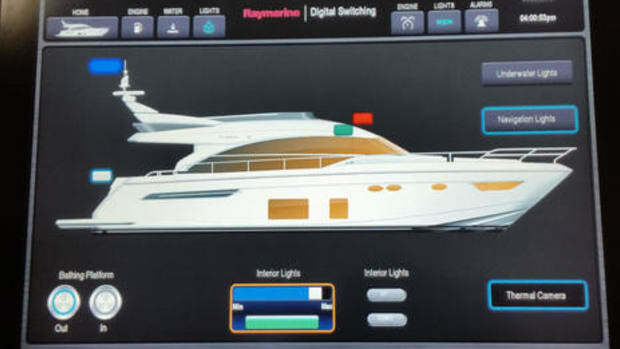 ...While I may be carried away, I&apos;m seeing Doppler target speed discrimination as the killer feature that will drive a lot of competition, sales, and more relaxed boating. 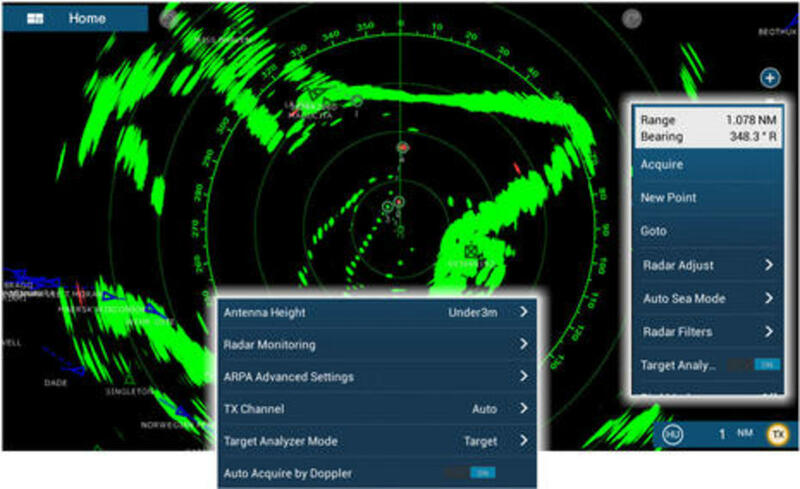 Verily, I even picture legions of crusty sailors and power cruisers with older, "hey, it works" radars having "come to Doppler" moments. 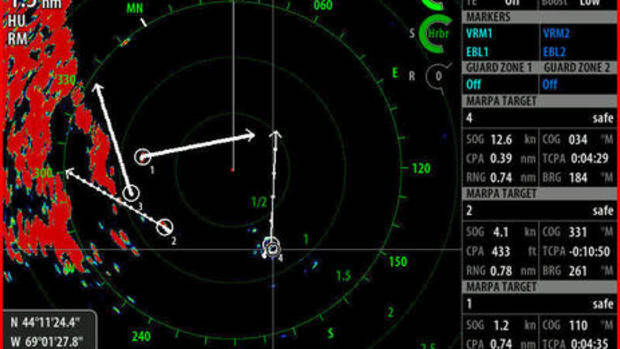 But all these radars are just one (important) part of larger MFD systems, and there are many factors to picking the best one for any given boater (though it&apos;s hard to go too far wrong at this point). 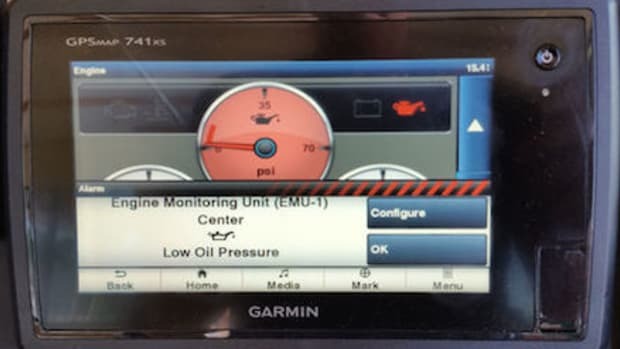 That&apos;s a much bigger discussion, but since I already showed some of the many controls Garmin has included with the Fantom and its latest MFD software, let me go a little further. While I probably over fiddled with those controls, as you might notice in the multiple radar palettes, as we ended the demo I wistfully chattered about how it would be nice to save multiple radar setups. That&apos;s when Ryan Schmitz showed me the elaborate screen below. It&apos;s is under the new "star" tab you can see on the Garmin shots just above, which means easy access for power users, easy "nevermind" for others. While it&apos;s probably no surprise that I personally like nameable and deeply configurable modes like this, the bigger picture is that even "Power of Simple" Garmin is reaching out to user types it didn&apos;t used to court. Perhaps easy presumptions about Big Four styles are getting thin? Even the game beyond radar may be changing.